LED Glass GU10 5W COB Lamp Cool White 380lm is rated 4.2 out of 5 by 9. 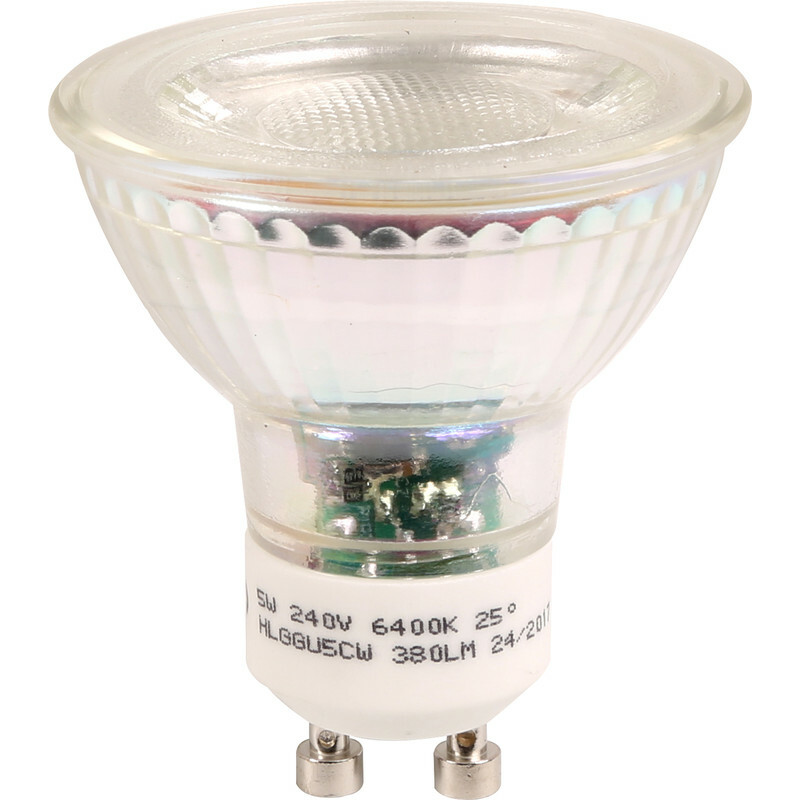 Rated 4 out of 5 by diydad1 from LED Bulb Good bulb at a decent price. Rated 5 out of 5 by eeny45 from Good value! This is the second batch I have bought and they do a good job nice and bright and though 2 have failed within a year the others are lasting ok so far. Rated 5 out of 5 by DJdiy from Great!! This lamp is the 3rd one i bought had 2 more which i bought ages ago working in 2 reading lamps,this one is for my daughters reading lamp. Rated 5 out of 5 by Bigsi from I've seen the light. Bought for floor standing father/daughter lamp in living room. Works a treat, bright enough and good colour. Top grade service, price and quality as always from T. Stn. 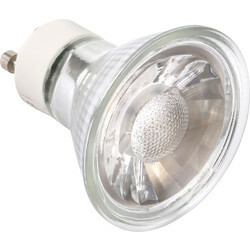 Rated 4 out of 5 by Andy F from Good Value for Money Excellent value for money and LED means reduced energy consumption. It's a w win - win with Toolstation.